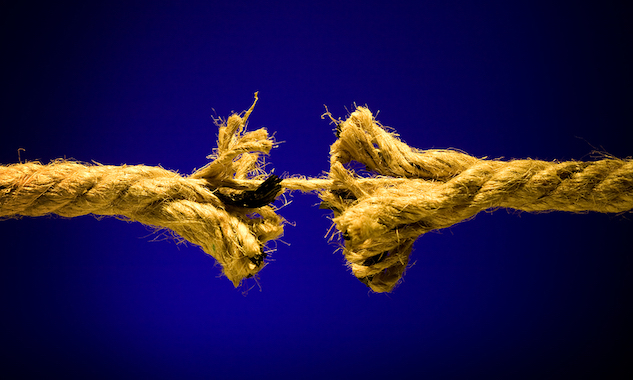 The owners of the Geneva Inn claim their “property rights” are a sacred and they have an absolute economic right to do anything they want with their property to attain maximum economic benefit. The Geneva Inn is demanding the Town of Linn recognize and protect this “right,” or it will seek redress in the City of Lake Geneva. The Lake Geneva Community, like the rest of society, believes “property rights” come with the obligation to uphold the legal right of the state and community to impose limits and regulations on property in order to protect and preserve the greater good of the entirety of the public effected by everything that happens in and around this wonderful lake. 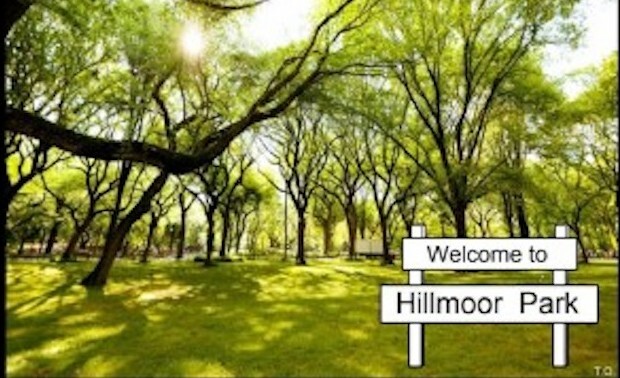 Wisconsin law (Rainbow Springs Golf vs. Town of Mukwonago) explicitly states that landowners have no property rights’ interest in the zoning designations applicable to their property. Therefore, the Geneva Inn has absolutely no legitimate right to purchase lakeshore residential property, and then demand the Town of Linn change that zoning to commercial. Rather it is the responsibility of the town to require the residential zoning identified in the comprehensive plan/map remain uncorrupted as the Lake Geneva community has maintained since its inception in the 1800’s. 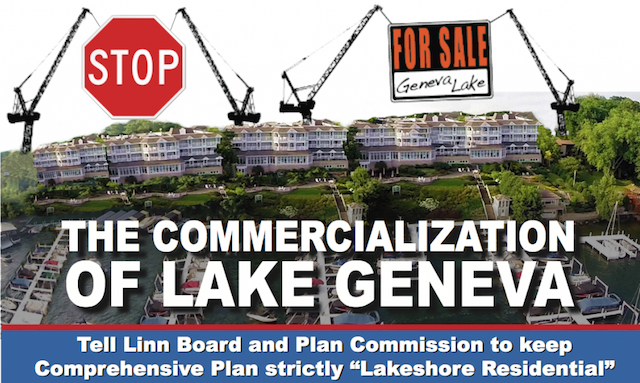 For that reason, everyone of good conscience who believes in the 1910 Covenant Doctrine prohibiting commercialization of the Geneva Lake Residential Lakeshore, needs to be in Zenda on Tuesday, August 22nd, at 6:00 p.m. and attending this vital meeting. 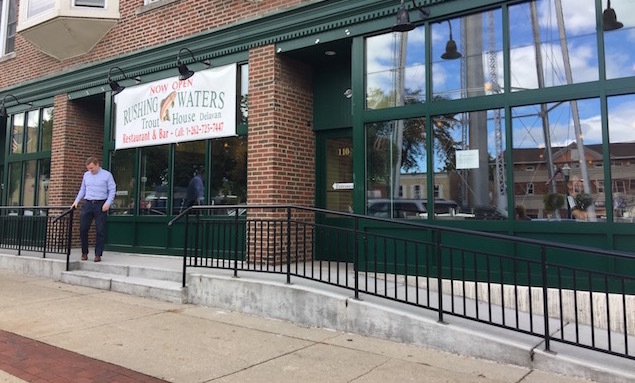 The Graham family that owns and operates Rushing Waters Trout Farm and Restaurant in Palmyra has opened another restaurant. Rushing Waters Trout House Restaurant & Bar is located on Walworth Street across from the water tower in Delavan. This Rushing Waters in Delavan is a wonderful new addition to the town. Come check out the fabulous food and the great people who own the place.